Normally I review and write about various doors, however this holiday season I want to give you a few ideas for making a great Christmas Wreath for your front door! Making wreathes or buying a wreath gives your home a great feeling for those who pass by and your family plus great holiday door decorations. 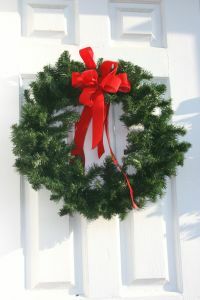 Above, is a picture of a traditional wreath that is normally green with a red bow tie. 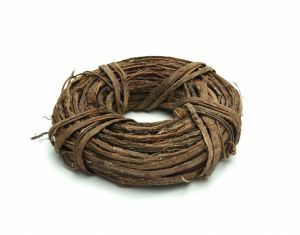 However, there are other ways to put together a good wreath. My mom would go to a craft store like Michaels and buy the barebone and create wreaths from straw, fruit and other fun objects. 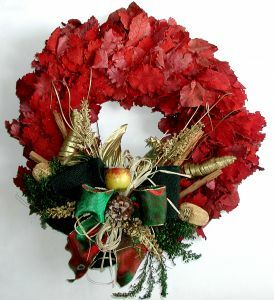 Good example of a red wreath with the use of artificial red plants/flowers and other Christmas decorations. Decorating your door is fun and easy because its based on your imagination. Look around the house in your Christmas decoration box and put together your Christmas Wreath for your front door! Good luck! Some people put full posters on the front door with Santa Claus or a Snow man. I think if you have a nice looking door, I wouldn’t hide. However, if you’re door is old, then going for a “new” look would be smart! I’m interested in having a link on your website. Could you kindly contact me in regards to the link opportunities that are available on your website?